With Easter right upon us, chances are you've probably seen your fair share of egg decorating ideas, but indulge me for a minute because I have one more to share. 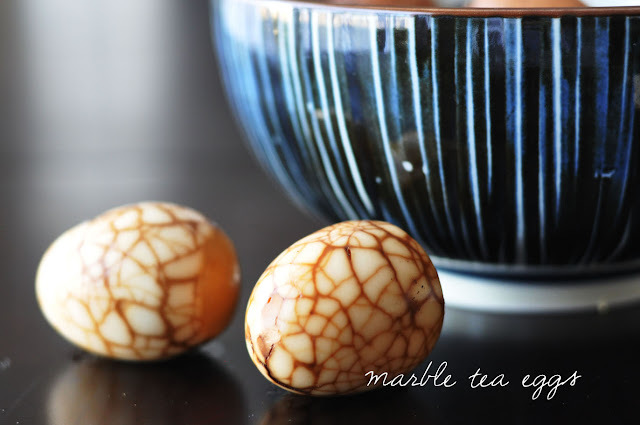 While these marble tea eggs don't necessarily classify as an 'Easter activity', they do however involves eggs, which makes them somewhat relevant. Tea eggs are one of my favourite ways to cook eggs. 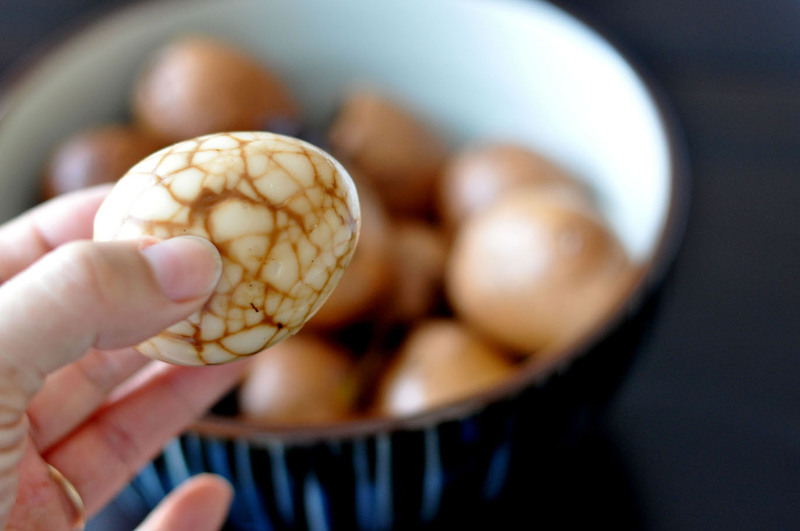 Simmered in a fragrant broth of black tea, soy sauce and spices, the eggs are elevated from a humble hard-boiled egg into something beautiful and complex in flavour. 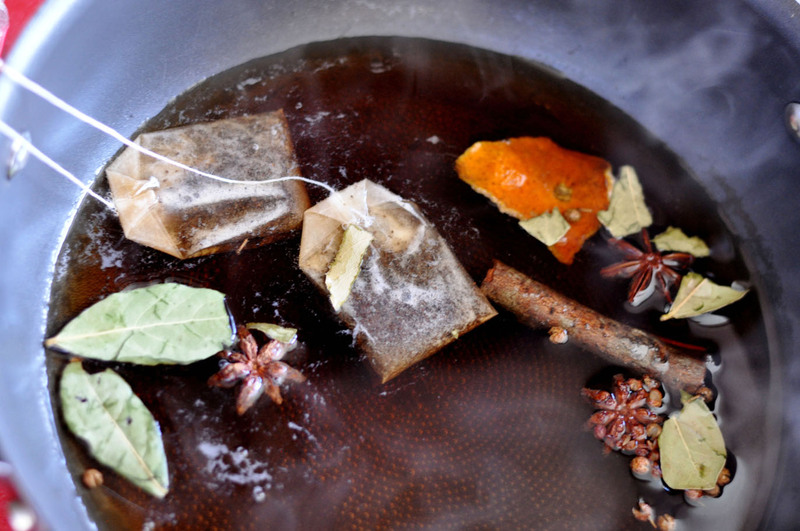 The mulling process permeates the whites of the egg so that even the yolks are infused with a hint of tea and spice. These eggs are as common to Chinese homecooking as cheeseburgers are to America. Generally consumed as a snack either warm or cold from the fridge, these eggs make a great addition to any meal. Add them over ramen, in a rice bowl, or even as the basis of an Asian inspired deviled egg. Personally, I like to have them for breakfast, slice in half, warmed up and with a splash of the tea marinade over the yolk. 2. Bring a large pot with 4 cups water to boil. Add tea bags, spices, soy sauce and five-spice powder and let it simmer. Reduce broth by 1/4 before adding eggs. 3. 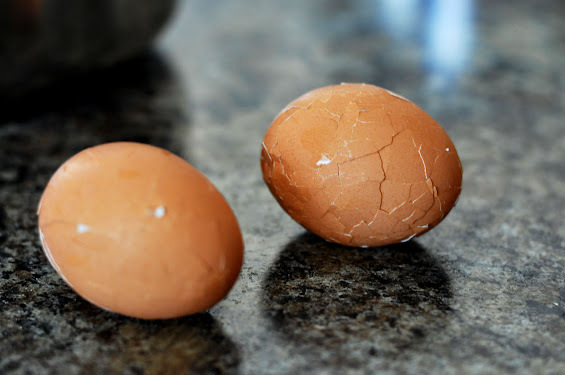 Lightly crack the shell on the eggs but do not peel. Either gently tap with the back of a spoon, or roll the eggs lightly on table. 4. 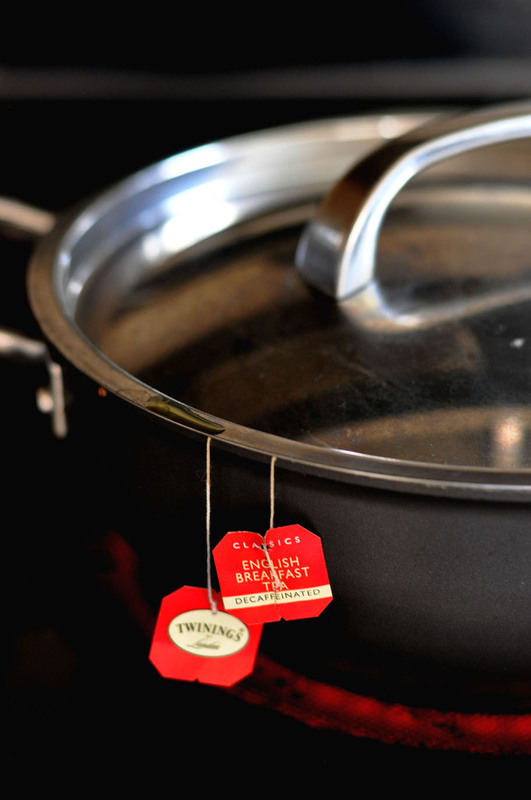 Place cracked eggs in tea broth, bring to a boil and continue simmering for one hour. 5. 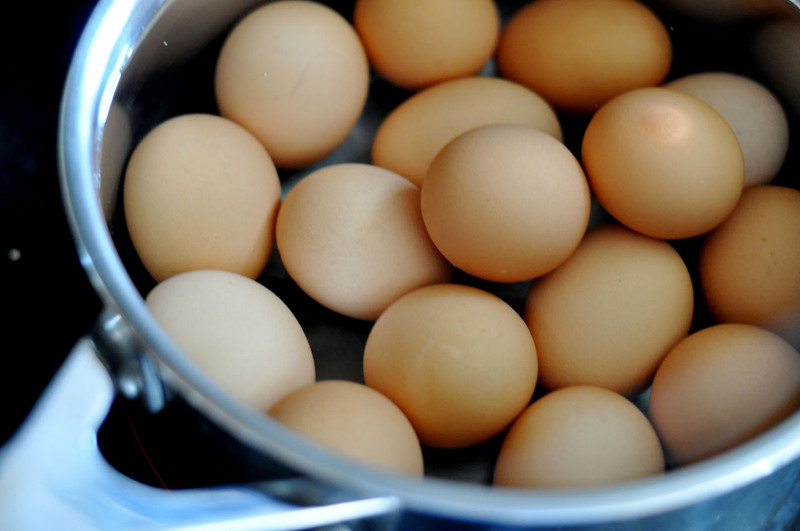 If eggs are not completely submerged, rotate after every half hour. Add more water if necessary. 6. Remove from heat, cool and refrigerate the eggs in the tea broth. 7. The flavour will continue to develop overnight. 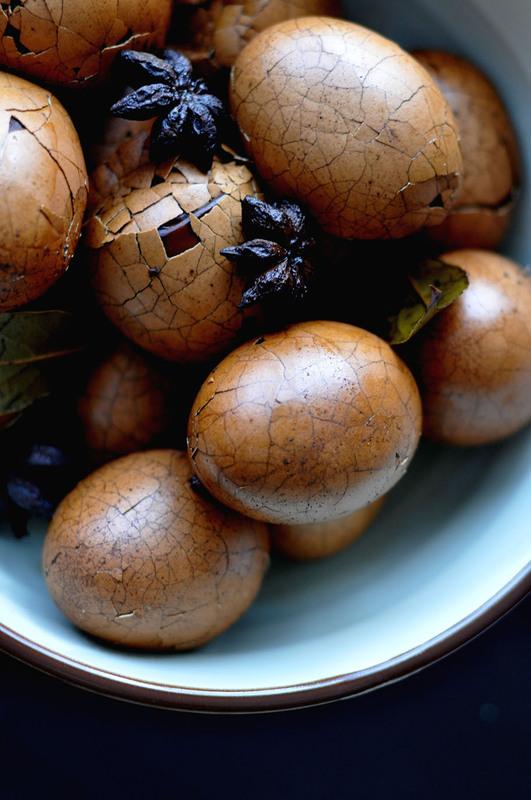 Tea eggs are best consumed the next day and the day after. Peel egg just before serving. How pretty! I've heard of these before but have never tried them... they sound delicious! You have made it look so easy !! But this is extremely beautiful. Forget eating, can't take eyes off them. This is such an inovative idea... and eggs look fabulous!!!! I will definitely try this!! We have something like this in my home country too. Nicely done! These are so unique- what a fun idea! This is so interesting...I've never heard of this before! I love trying things from different cultures, so I'll definitely be making these as some point. Plus, they're so pretty! Jenee, I learned something new doll. They are exquisite! Gorgeous photos. Wishing you and your family a Happy Easter! I have never seen eggs being prepared in this manner. I wonder what they taste like... Happy Easter weekend! I've never heard of these, they are pretty and they sound really yum! I have never heard of these before! I do boiled eggs every now and then when I think of it but this sounds so good! 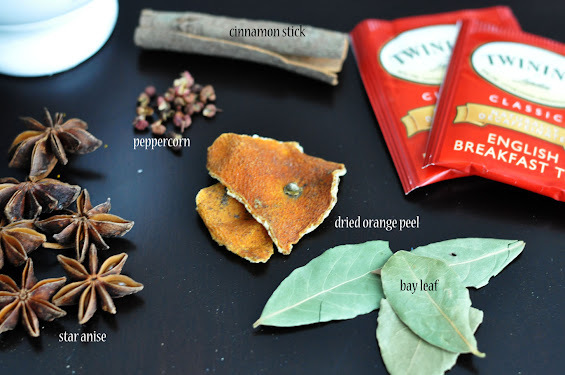 You know, if I could stand the taste of caffeine (Tea/coffee), I would totally try this, but gonna pass this on to my sister who is a tea and egg addict LOL! I did have them in the past, but thought they were only marbled by tea. Thanks for explaining, love the picture with all the spices, gorgeous. Happy Easter! this is so cool!!! :D they look so rustic and almost like decorations! You make everything seem so easy and awesome. LOVE this! I love these eggs! Thank you for sharing. This is fabulous, Jenee. I often wondered how to make these tea eggs. I can't wait to try the recipe out. So in awe of your skills, you domestic goddess!